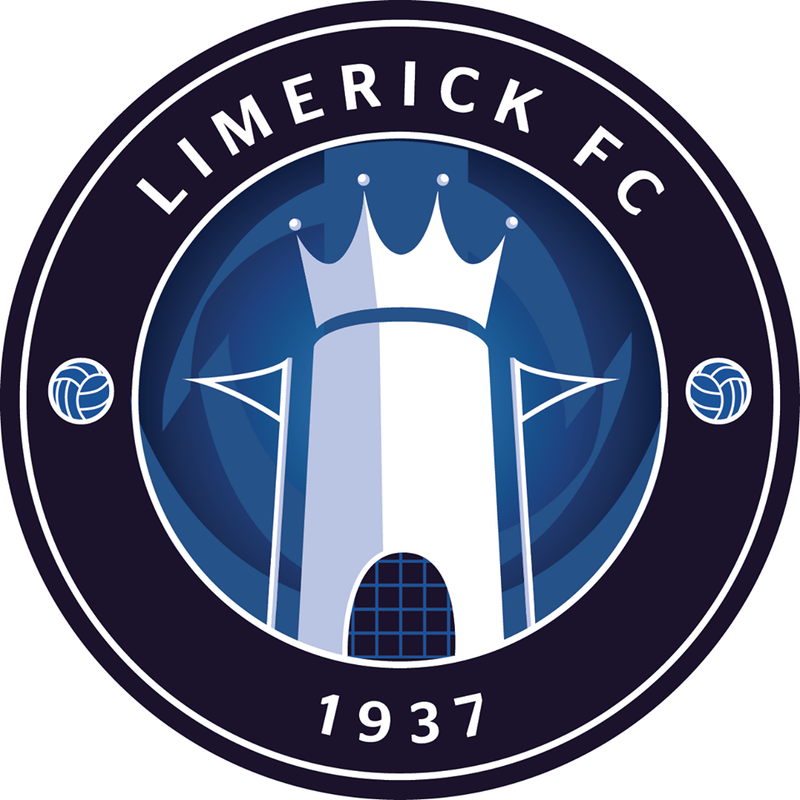 Killian Brouder’s stunning 30-yard strike eased Limerick’s nerves early in the second half as they overcame a dogged Cockhill Celtic 2-0 at the Charlie O’Donnell Sports Grounds on Sunday afternoon, to secure a place in the last 16 of the Irish Daily Mail FAI Cup. Tommy Barrett rested the likes of regulars Connor Ellis and Cían Coleman, along with young stopper Tommy Holland, on a morning when the team had to depart Limerick at 6.45am. And the manager should have seen his changed side fall behind inside five minutes when, after a breakaway, James Bradley squared the ball for Gerard McLaughlin whose shot was weak in a glorious early opening for the hosts. Limerick settled down after that and approaching the quarter-hour Will Fitzgerald’s cross was met by Danny Morrissey in the centre but his header was comfortable for ‘keeper Gavin Cullen. On 33 minutes, captain Shane Duggan attempted to repeat his recent Waterford heroics when he took on a shot from distance and it went close as it whistled past the post. Then, Jack Brady – making his debut between the sticks for the Shannonsiders after transferring from Longford Town in the July window – got behind a strike from Mark Moran as Cockhill held their own in an even first half. 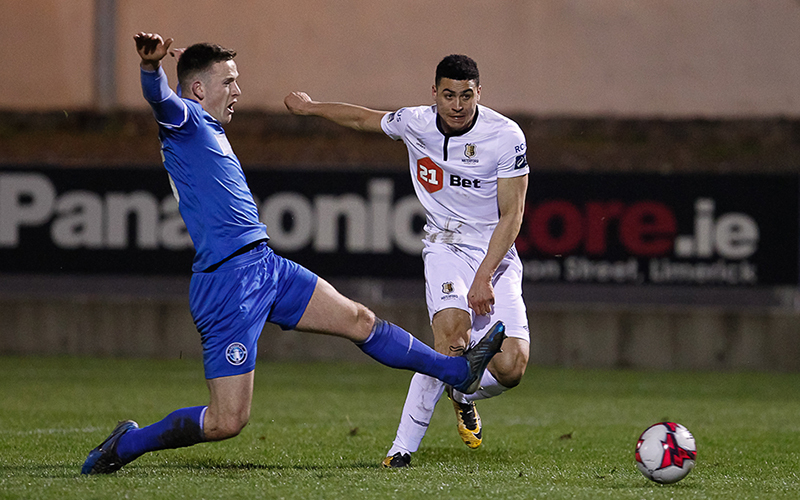 It was a 45-minutes that would end scoreless, despite late threats from Morrissey who watched another header gathered by Cullen, and Colm Walsh-O’Loghlen who fired off-target after neat build-up play involving Morrissey and Duggan. At the break, Barrett called on Coleman and Karl O’Sullivan in a double switch. 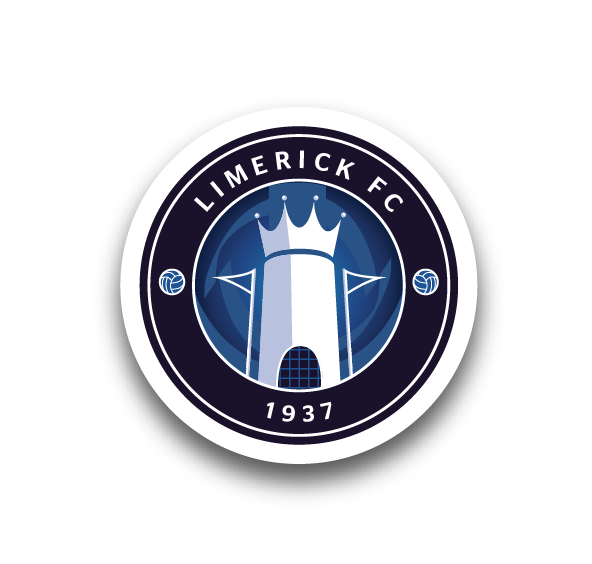 And Limerick got their noses in front just over sixty seconds after the restart when Brouder hit a sweet drive from distance into the bottom right-hand corner of the net. That gave the Superblues control and on 52 minutes Fitzgerald’s delivery was flicked on by Morrissey to Duggan whose attempted chip was collected by Cullen. The home ‘keeper parried Billy Dennehy’s powerful shot midway through the half, but the insurance goal did arrive on 74 minutes when substitute O’Sullivan made a surging run down the right and from the by-line crossed for Barry Maguire to supply the finish. That made the remainder of the game a lot more comfortable and, with Ellis who got a run from the bench going close late on, Limerick saw it out to join six other Premier Division teams in the draw for the second round (teams listed below). The one downside was a late booking for Duggan, his eighth of the season, which rules him out of the next stage of the competition through suspension. Now, Barrett and his players prepare for a must-win league clash with Sligo Rovers at the Markets Field next Friday night, 17 August, kick-off 7.45pm. Cockhill Celtic: Gavin Cullen, Jason Breslin, Peter Doherty, Mal McDermott, Lee McColgan (Daniel Doherty 78), Gerry Gill, Denim McLaughlin, James Bradley, Brendan McLaughlin, Mark Moran, Gerard McLaughlin (Bart Wesoloski 76). Booked: B McLaughlin (18), J Bradley (38). Unused Subs: Daniel Martin Doherty, Michael Owen Doherty, Paul McKinney, Adam McLaughlin, Jason McCallion. Limerick: Jack Brady, Shaun Kelly, Eoin Wearen, Killian Brouder, Billy Dennehy, Colm Walsh-O’Loghlen (Karl O’Sullivan HT), Darren Murphy (Cían Coleman HT), Shane Duggan ©, Barry Maguire (Connor Ellis 76), Will Fitzgerald, Danny Morrissey. Goals: K Brouder (47), B Maguire (74). Booked: C Coleman (65), S Duggan (84). Unused Subs: Tommy Holland (GK), Tomás O’Connor, Adam Foley, Ger Barry.